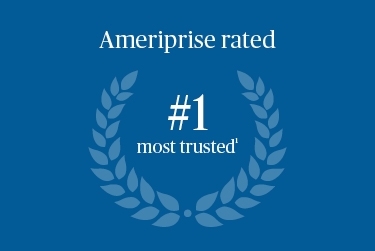 1AmeripriseFinancial tied for first place based on responses to a consumer survey as partof the 2018 Temkin Trust Ratings, temkinratings.com. The Temkin Trust Ratings(TTR) is an openly available loyalty benchmarking metric. When companies haveearned trust, their customers are willing to believe their claims and are moreinclined to work with the company. The TTR is based on consumer feedback oftheir recent interactions with companies. Consumers are asked "To what degreedo you TRUST that these companies will take care of your needs?" Responses areon a scale from 1= “do not trust at all” to 7= "completely trust." TTR iscalculated by taking the percentage of consumers that gave a rating of 6 or 7and subtract the percentage that gave a rating of 1, 2, or 3.